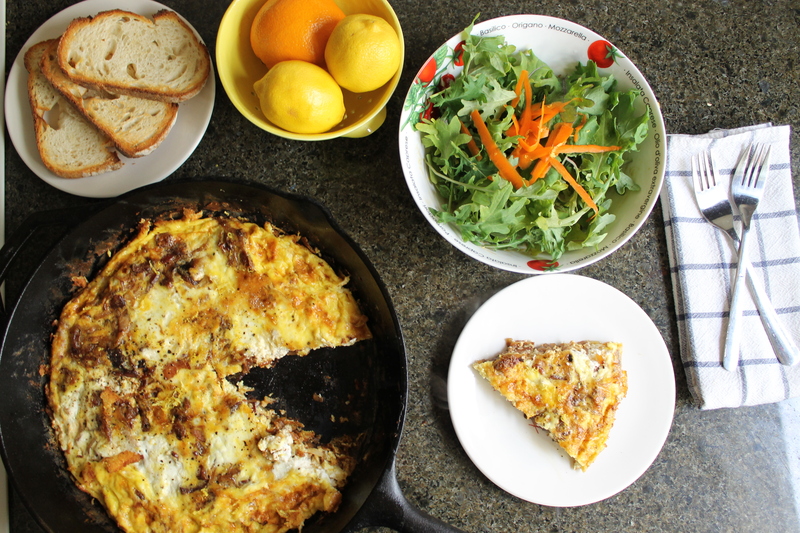 The morning after Thanksgiving was a glorious frittat’ (slang, for all the gangsters out there): creamy butternut squash gratin, bacon brussel sprouts, and lots of parmesan cheese showed my family that they could indeed eat more food. Medium low heat once the eggs are added, allowing for a gentle simmer. Stop touching it. The only thing you should do is gently use a spatula to pull the edges away a tad and allow the still runny egg to escape down underneath to cook. But that is it! Trust the low heat and let it cook until the egg is set– it won’t burn unless you leave it for an hour. Cut the onion in half, then slice thinly. In a large (9") cast iron skillet over medium high heat, add 2 T olive oil. Once hot, add the onions and turn heat down to medium. Continue stirring until caramelized, about 20-25 minutes. 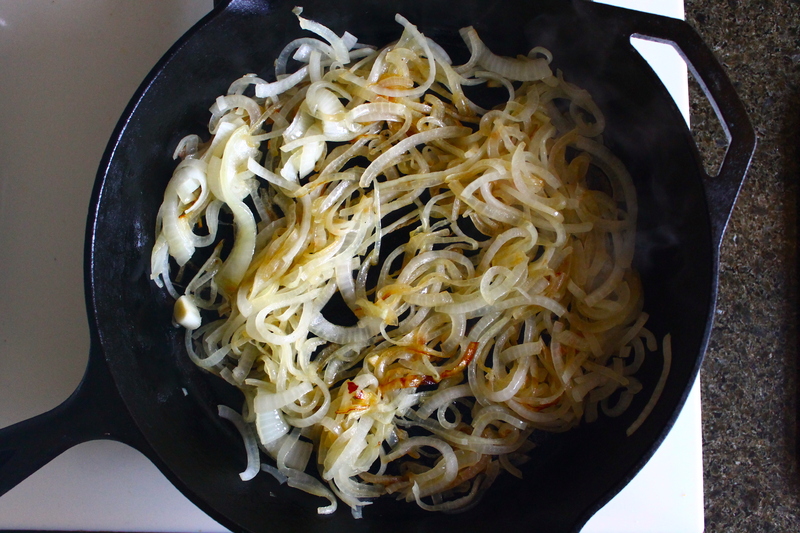 While onions cook, peel the potatoes and slice to ⅛" thick. Oil a baking sheet with 1-2T oil and layer the potatoes. Salt & pepper them, then place in the oven for 20-25 minutes, or until crispy. Set aside. Once the onions are done, remove from heat and stir in the balsamic vinegar. Remove from pan and set aside. 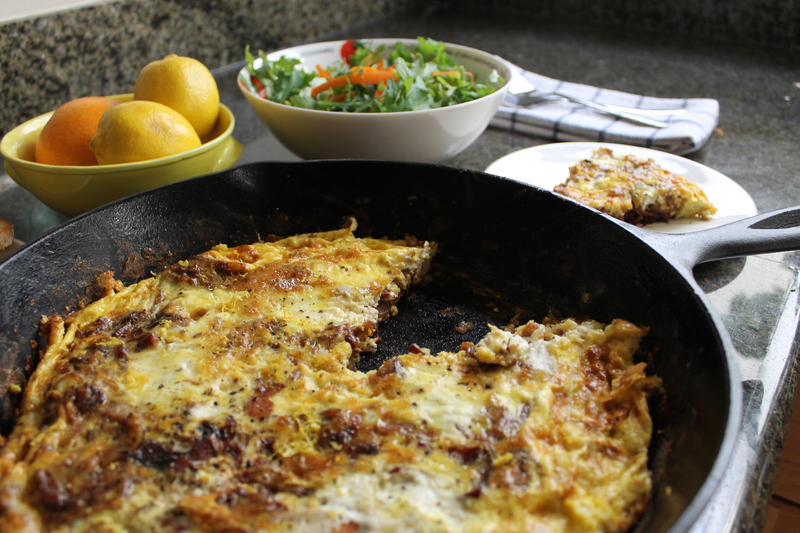 Cut the bacon into ½" pieces and cook in the skillet until crispy. Remove with slotted spoon and set aside. Combine the eggs and half & half in a bowl and whisk until thoroughly combined and fluffy. 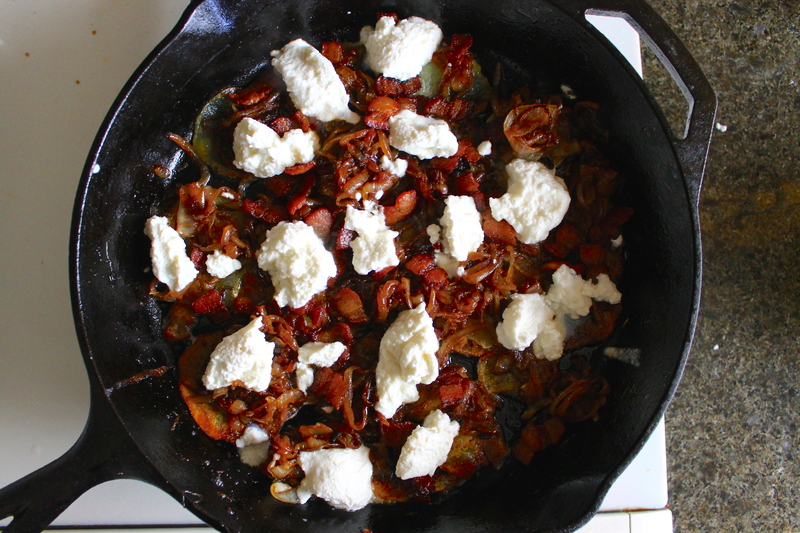 Turn the heat on the pan to low and start layering: potatoes, bacon, onions, ricotta (in dollops), eggs. 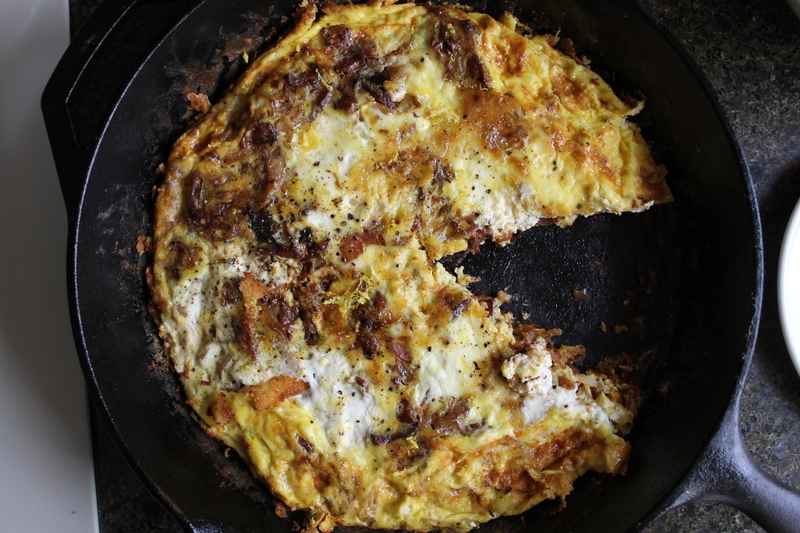 Once the eggs are in, turn heat to medium low and cook the frittata until almost set-- 8-10 minutes. You should see little bubbles come to the top, but nothing vigorous. You're not trying to boil the eggs. Once the eggs are almost cooked through, turn off the heat and put the skillet under the broiler until puffy and browned. Remove from oven, sprinkle with lemon zest, slice, and serve. I had mine with a kale salad and toast, with (of course) lots of butter. Nom!